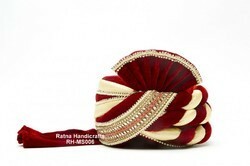 Indian Hand Made Traditional Pagdi Safa for Groom. The pieces are designed in Light weight for the Dulha/ Groom and which can match the attire. Traditional Milni Reception Pagdi for welcome of Barat/ guests. 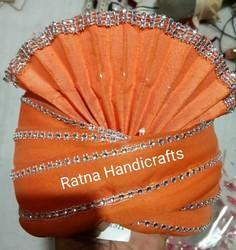 The pieces are ready made in standard size with look of Tied pagdi. Wearable Zari Garland for wearing in marriage and reception etc. The item is used for attaching currency note as well. Is also called note mala. 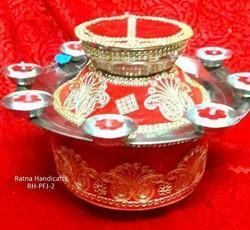 Hand Decorated Jaimala thali in big size like 16, 18, 20 inches. There are assorted designs available. According to the variegated necessities of our customers, we are putting forth a wide accumulation of Wedding Sehra for Weddings. Our offered wedding sehra is comprehensively recognized among our supporters because of its strength and rich look. The given wedding sehra is splendidly outlined utilizing the quality evaluation material. This wedding sehra is given in different look and changed sizes can be benefitted by our customers at ostensible cost. We are one remarkable entity, engaged in exporting, wholesaling, trading, and supplying a wide range of Wedding Mala. 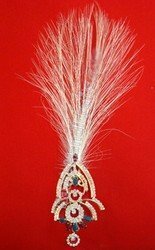 Our offered wedding mala is widely demanded for bride & grooms. 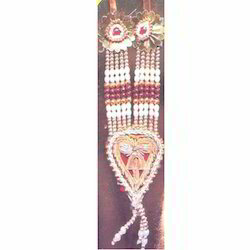 This wedding mala is provided in various sizes as per the requirements & can be customized also. 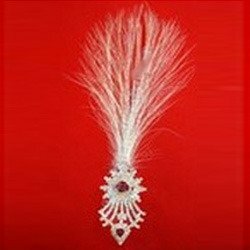 Also, to assure the best quality, the offered wedding mala is checked by vendor’s quality auditors on various quality parameters. 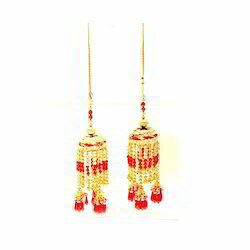 We bring forth for our clients’ an outstanding collection of Designer Kalangi. This kalangi is designed and crafted by our experienced craftsmen using premium quality basic material keeping in mind latest market trends. 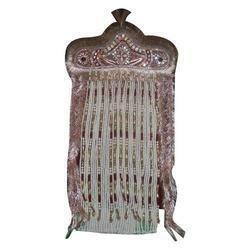 Known for intricate design eye-catching looks and durability, this kalangi is highly demanded among our clients. This is available with us in different designs and patterns at very nominal rates. Moreover, the offered range is well-known for the features like smooth finish, sturdy construction, elegant look and durability. We are engaged in providing an exclusive assortment of Groom Kalangi. These kalangi are offered in various designs, patterns, sizes and colors to meet the variegated choices and preferences of our customers. Our Brooched design are Modern and stylish suitable for all occasion & Function. Backed by a team of creative and skilled designers, we are actively engaged in exporting, wholesaling, trading, and supplying a superior range of Kantha Mala. The offered kantha mala is designed with precision by using finest grade of artificial beads & other allied material by vendor’s renowned craftsmen. Our kantha mala is available in various beautiful designs and patterns as per the needs of customers. 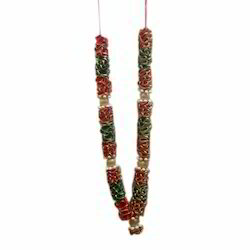 Additionally, our customers can avail this kantha mala at most competitive price.